Hint Water Reviews - Is It Really a Tasty Healthy Choice? Made with pure water and a variety of all-natural, unsweetened fruit flavors, Hint Water claims to give you the sweetness you crave and the health you need. Founded by Kara Goldin in 2004, Hint Water is a line of all-natural, unsweetened, ultra-pure water that’s infused with a variety of natural fruit flavors, and is made without sugar, diet sweeteners, preservatives, calories, trace minerals, or GMO ingredients. On top of this, Hint Water is vegan and gluten free. In other words, Hint Water is claimed to contain nothing but natural fruit oils and essences, all of which are extracted using various combinations of pressing, heating, cooling, filtering, and dissolving. And if you need a little carbonation in your day, there’s even a version called Hint Fizz to satisfy your cravings. Because of this, Hint Water is claimed to be a healthy, sugar free drink alternative to sodas that tastes great without tasting sweet, so you can stay hydrated without worrying about calories or diet sweeteners. Why Does Hint Pasteurize Their Water? According to Hint Water’s FAQ, “Purification systems vary depending on the type of water available at each bottler. Techniques can include reverse-osmosis, de-ionization and ultra-violet purification before adding flavors. As a final step, Hint Water is pasteurized.” But what does this mean? At its most basic, pasteurization is a process that involves heating a liquid to a high enough temperature, so that any disease-causing organisms it contains are killed by exposure, thereby making it safe to drink. While you’ve almost certainly heard about pasteurization related to milk products, the fact is that most bottle water manufacturers also pasteurize their products for safety. However, keep in mind that pasteurizing water also kills many of the “good” organisms often found water, so this might mean that you’re also missing out on some of the benefits. Also, keep in mind that fruit-infused water is nothing new, which means that there are dozens of other products available similar to Hint Water. Granted, some of these may use artificial sweeteners or include sugar in their formulas, but the point is that you have options. In fact, if you’re looking to save money while formulating your own unique flavor profiles, you can create fruit-infused water at home for a fraction of the cost of Hint Water. In fact, you can even add carbonation for your own version of Hint Fizz. In order to see for yourself, type in the phrase “fruit infused water” or “DIY fruit water” into your favorite search engine. Do Customers Like Hint Water? There were more than 7,400 customer reviews featured on Hint Water’s website at the time of our research, with an average rating of 5 stars. There, common compliments appeared to revolve around the great taste, lack of sugar and other added ingredients, and that it helps reduce (or eliminate) soda consumption. There were also 872 Amazon customer reviews for Hint Water’s Blackberry flavor, with an average rating of 4.1 stars. While many of the compliments mirrored those found on Hint’s website, complaints also included reduced quality compared to original batches, a “chemical” taste, and even some complaints that the water had gone bad (e.g. a “rancid” taste). Several customers also stated that they contacted the company for a resolution, but didn’t receive a response. From a company perspective, Hint Inc. is based out of San Francisco, CA, although they weren’t listed with the Better Business Bureau. With this said, Kara Goldin took Hint Water from a small startup in her garage to a $30 million per year business in the span of a decade, so the company’s story has been featured in a variety of popular publications, including Forbes, Fast Company, The Wall Street Journal, and many others. Free shipping on 3 or more cases. Finally, keep in mind that Hint Water is available through several national retailers, including Whole Foods and Safeway. To find a store in your area that carries Hint Water, be sure to visit their Store Locator page. 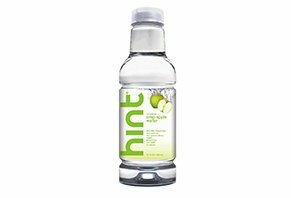 Our Bottom Line: Is Hint Water a Tasty, Healthy Choice? Overall, it seems that most customers who try Hint Water enjoy the experience, so it’s likely that you will too. And it’s also positive that Hint Water contains nothing except pure water and natural fruit infusions. However, keep in mind that everyone has their own taste preferences, so what you might find to be the best taste on the planet someone else might find to be awful. As such, we might recommend purchasing a single bottle of Hint Water or Hint Fizz from a local retailer in order to try it out. Then, if you like the taste, you can purchase greater quantities directly from the company. I ordered the Hint Water variety pack for $47.97. I opened TWO bottles after chilling them from the first pack Tasted like TAP WATER, so I proceeded to chill two bottles out of the other two 12 packs thinking maybe two bad bottles made it through the process, but to my dismay, they were all the same TAP WATER. Since I opened six bottles, I felt I could not return them to Walmart, as stated, down the drain it went, not knowing what was actually was in these bottles. VERY DISAPPOINTED as I had purchased the product at Walmart to try and it was good at that time which led to my purchase online. There was an issue with my shipping address and the order was never sent to me. I emailed them to tell them the correct address, they said ok, and never responded to me again, and I still have not received my order. I bought a 36-pack to try it out, and I love it. I’m currently waiting on my second 36-pack to ship. Besides drinking Hint Water, 2% milk, tap water, and Tab pop, I have a pretty good mix of fluids going into my body. Target and once in awhile Sprouts will carry for $1/bottle, which is worth it, but when not on sale, oh boy, IT IS EXPENSIVE per bottle. In these two stores it runs between $1.50 - $1.65/bottle, and then online even with a 10% discount it still runs you $1.66/bottle whether you get a bundle or non-bundle yummy flavors. Not worth it! The kid variety pack is worth the price as you get more water than you the actual cost of the product amount itself and you get if bought in a bundle of three cases and then 10% discount, this is good, but the rest is very expensive. I don’t think people understand what the word "hint" means. This isn't supposed to have a lot of flavor, if it did, it wouldn’t be good for you. I really enjoy the flavor of the water personally, it’s not a lot of flavor and I don’t have to worry about the sugar, so it works great for me. I can taste only a minimal amount of flavor. It's like drinking high priced bottled water. Better plastic bottle is the best I can say about it. Where is the flavor? Not worth the price. Hi Michael! We're sorry that you didn't love our water the first time you tried it. We often hear that when people are used to drinking drinks that contain artificial sweeteners and preservatives, it takes some getting used to and a few tries to fall in love with the subtle yet delicious flavor of hint. If you ever have the chance, we'd love if you gave us another shot. Why plastic bottles? Do you realize it IS KILLING MARINE LIFE and other animals? Also, the process to create these is contributing to global warming? I saw Hint advertised on TV so I decided to try it. The catch words sparkling refreshing was exactly that catch phrases. They will make you interested in trying Hint. I must say I was deeply disappointed. The water tastes like city water that you get from the faucet. The hint of the flavor is just that a hint that's almost not present. Perhaps that's why it got its name - Hint. It is made from purified water. Save yourself some money. Fill a pot with water from your faucet let it boil. Squeeze your flavor from fresh fruit and viola, you have made your own hint of flavored water. It will be even better if you use spring water. Try it you might like it better. I do! Spring water by itself tastes 100% better that Hint. Add your own fresh fruit and it tastes 200% better than Hint. Of course this is all just my opinion so you try my suggestions and compare them to Hint. You be the judge. I wish I could say something good about this water, but I can’t. I’ve had trouble with artificial sweeteners and was hoping this product would’ve been my saving grace. I tried the raspberry infused and it tasted like WATER! Just water. No raspberry taste at all. I’ve made my own infused water and it tasted way better than Hint. I never heard of Hint until I saw it in an Aldi's (discount) grocery store. It was a 12-pack consisting of blackberry, watermelon, pineapple, and cherry, for $9.99. Always looking for a healthy alternative, I googled it and saw the same variety pack at Walmart, priced at $19.89, so I deemed it worth the risk. Bad decision. Quite frankly, I would give it zero stars if that was an option. It is nothing more than a typical flavored water, and barely at that, thus the "hint," which tells you that you're not going to taste very much flavor at all, and also, should be your "hint" not to buy it. I'm guessing the fancy bottle, the printed claims, ie: non-GMO, authentic vegan, etc., justify a price that is more than double that of waters that I feel are far superior. Grossly overpriced product. Delicious! But not for everyone, and that’s ok. I found a bottle of Hint Kick Black Raspberry at a store that sells grocery items which they buy from stores that go out of business. I first tried the black raspberry because it was the “kick” and I loved the idea that it was water but yet my beloved caffeine, lol. Also, it was very cheap, something like $0.60 or less. I instantly fell in love with it and wanted to buy more. I found the Hint website and started purchasing by the case, getting 3+ on subscription, to get it cheaper and no shipping cost. However, the taste isn’t for everyone. I had my 17-year-old daughter try it and she didn’t care for it, but she usually doesn’t like a lot of the drinks I buy, and that’s ok, you can’t please everyone. I will continue to buy Hint Kick as long as I can afford to do so; I love this water and fully support the company. These reviews about the taste are ridiculous and sound like someone has it out for the company or are teenagers that haven't learned that you aren't going to like everything you eat and drink. I was very excited to try this water because of its flavored water, zero sugar, and no artificial sweeteners. I ordered two of the flavored waters and one blackberry carbonated water to try. I first tried the pear flavored water that came in my order. It has zero pear flavor at all. It tastes like water, and that’s it. I also after trying that flavor proceeded to try the blackberry carbonated water. Okay, this was disgusting. Carbonated water with a flavor that tastes nothing like blackberry. It was worse than the flavored water. Buyer beware. Big rip off! Write a Review for Hint Water!